√ CHECK. WE DID THIS. DWIGHT IS CLOSED. Dwight Correctional Center is being closed. The IDOC is preparing Logan Correctional Center to receive the women from Dwight and Lincoln. Advocates have researched the new organizational plan for Logan and we like what we see. √ CHECK. WE DID THIS. DWIGHT IS CLOSED. The IDOC is preparing Logan Correctional Center to receive the women from Dwight and Lincoln. Advocates have researched the new organizational plan for Logan and we like what we see. The new Logan will not only have the same programs Dwight had, it will have more programs. • Logan will provide specialized housing units for younger women (House of Victory), women with 20 years or more to serve (House of Hope) and women with chronic health problems (across from the infirmary). • Vocational programs will increase from the three each at Dwight and Lincoln to seven at Logan. IDOC will replicate the programs from Dwight and add every program from Lincoln. • The women will gain programming. All the existing volunteer programs from Lincoln and most from Dwight will follow the women to Logan. • Lutheran Social Services will continue to sponsor bus services for children from the Chicago area. • Increased staffing will reduce both clinical and counseling caseloads. • Logan Reception & Classification will be fully staffed. Since Dwight’s R & C had no counselors, Dwight staff was stretched thin to cover this work. Consolidating Dwight and Lincoln will maximize resources and save millions. 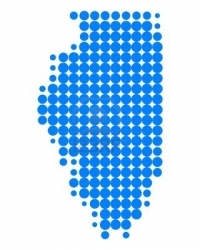 • The number of women in Illinois prisons has dropped by 41% in the past decade. Consolidation is essential. • Because Dwight is dilapidated and does not have acceptable drinking water, Illinois would have to spend $6 million immediately and $18.2 million soon. Closure will save $37 million annually. • Dwight’s closure will relieve understaffed prisons such as Pontiac, which will receive 60 security and 30 clerical employees. This plan will save millions in forced overtime and improve staff ratios at all receiving prisons. • Logan is considered an ideal central location since the demographics of women prisoners are changing—50% are from Cook and collar counties and 50% are from southern Illinois. • The current wardens from Dwight and Lincoln will move to Logan so programs will run smoothly and the women will know what to expect. • The transfer of 600 men out of Logan is designed so that current living spaces are not affected. While gym housing is not ideal, the men sent there are low-security, and their good behavior will be incentivized with good-time credits. We hope they will be released sooner. Extra staff and TVs will be placed in these areas. • Loss of female officers. We must hold the IDOC to their commitment to recruit female officers, and train and support the staff to serve the needs of women—as Dwight did. • 40% of women in IDOC qualify for electronic detention yet they are in prison due to lack of host sites. Women have good behavior, low-level crimes and short sentences (average 7 months). Prison has a negative impact on them and their families. Yet we pay twice as much to imprison females ($32,000/yr). We must solve this problem and redirect the money wasted on incarceration. • We urge the governor to sharply reduce the prison population by immediately implementing good time credits. This has proven to be politically challenging. Legislators, advocates and the public must have his back once he does so. • Now is the time to invest in community-based alternatives. Minimum and medium-security men’s prisons are senselessly overcrowded. Most people in IDOC have non-violent offenses and 50% serve six months or less. Evidence shows that community supervision, instead of prison, improves outcomes.